Bannister Lake has been hard at work the last few months. Our Election software was used during the Ontario elections at 3 different Networks (Global TV, TV Ontario and TFO); we took part in an eSports playoff series for EA’s FIFA World Cup; Branding is fully integrated inside Chameleon, making Chameleon an even more powerful tool in production. This has been a requirement for production personnel for years, since most CG broadcast systems don’t support it. But with Chameleon Web, it works without having to do anything. Custom has been added to Chameleon a while back as a content type, but until recently, only available as a blade output. 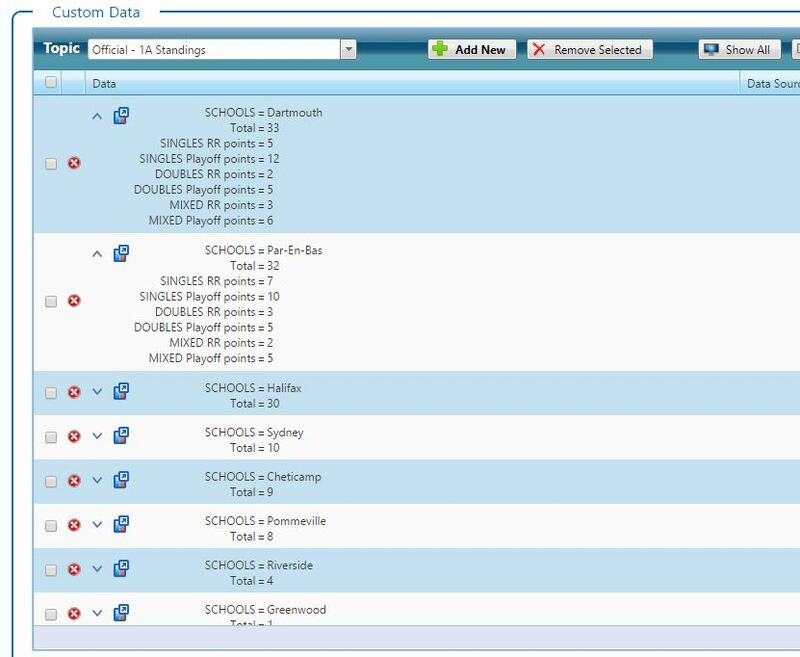 Now, Custom is part of our rundown output, which means your ticker can include virtually any type of formatted content. 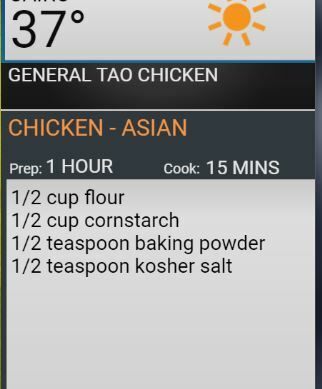 One example for our demo is a list of recipes you may want to cycle through. Another very useful way to use Custom is with google sheets. 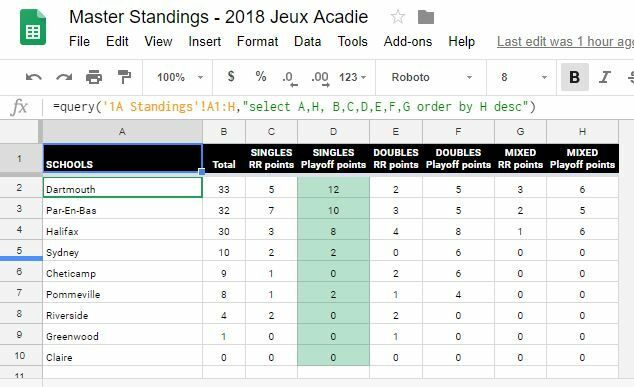 One idea is when you want to display results from a sports tournament, and the tournament officials are using Google sheets to order their round robins or playoff brackets. 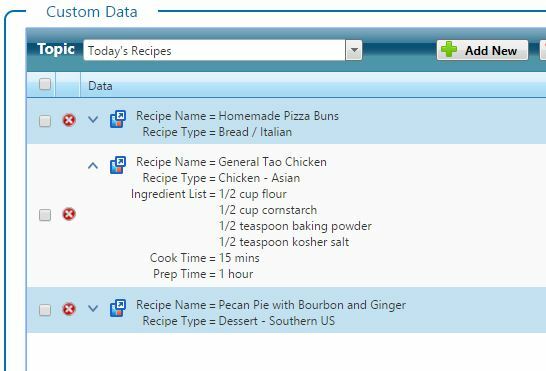 Google sheets can import the various visible tabs and automatically create custom results with the appropriate tags. For more information on the reader, go to our wiki page. 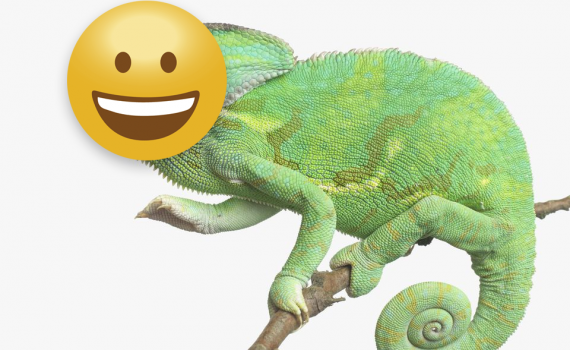 Branding has now been integrated with Chameleon, making it easier for users to add some branding assets to their workflow. But a major bonus that comes with the integration of branding with data, means that you can create conditional branding assets. As a simple example… maybe you create a house ID for your broadcast that will showcase a sponsor based on the type of weather in your area. 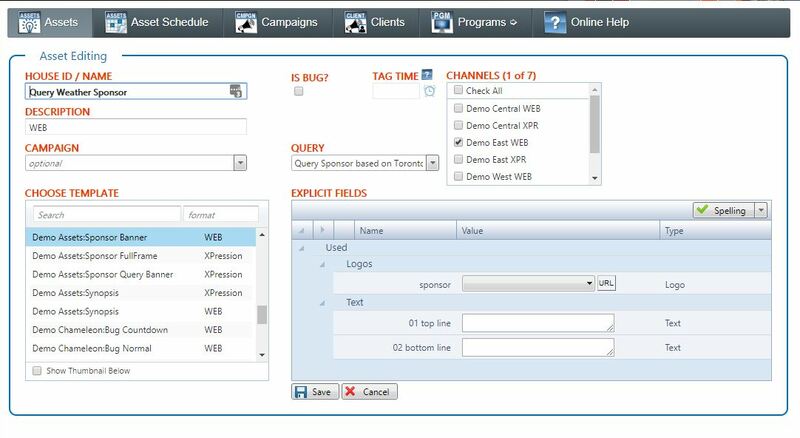 Note in the image above, the Demo Assets Sponsor Banner was selected as the template, and a Query Weather Sponsor was given as the HouseID/Name. 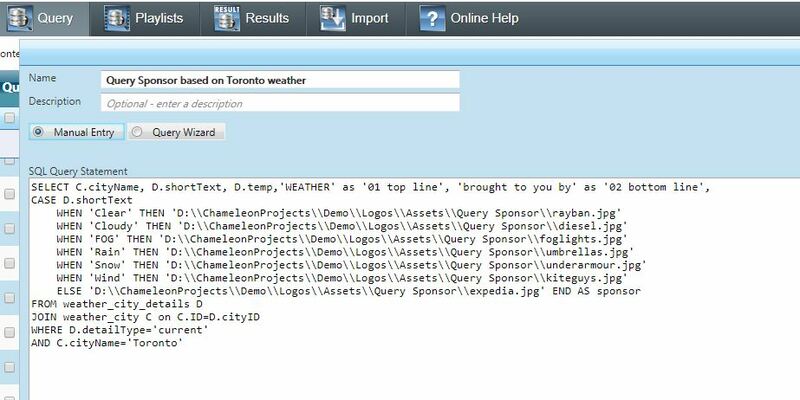 But additionally, we picked “Query Sponsor based on Toronto Weather” as the condition. The conditions you see in the query includes: if Clear, show a RayBan sponsor. If Cloudy, show Diesel wear sponsor. If Rain show umbrella sponsor. Coincidentally, in Toronto at the time of writing this blog, it was ‘none of the above’. This feature allows you to create an unlimited amount of conditions. If you’re in a major city with a major sports team, and that team wins a title.. your promo banner could have a related sponsor. But if they loose that title/game, then automatically another promo banner would appear. And with Chameleon’s vast data collection, you can come up with anything to display at any time.